There was a bit of shock when it was revealed Mike Flanagan would be directing Blumhouse’s Ouija: Origin of Evil, a prequel to the abysmal, yet lucrative, Ouija. After striking critical and commercial gold with intriguing horror flicks such as Oculus and Hush, it seemed odd for the filmmaker to take on the studio-mandated sequel to an unremarkable horror franchise based on an age-old Hasbro toy. As one of the few who found Flanagan’s previous features guilty of modern horror’s greatest travesties–dull characters, poor CGI, and ear-splitting shrieks doing the heavy lifting–I wasn’t surprised. Flanagan’s movies are handsome and tonally consistent, thus elevating them to a certain level of respectability, but his work, unlike that of his contemporaries in the indie sphere, naturally lends itself to the screeching drek that fills the cineplexes. Ouija: Origin of Evil, I assumed, would be serviceable, unremarkable, and, most importantly, not scary. As its title implies, the film is an origin story for 2014’s Ouija’s Doris and Paulina Zander. That said, it functions just fine on its own, and you’d probably be better off skipping the original film. It’s 1967, and 10-year old Doris (Lulu Wilson) and teenager Paulina (Annalise Basso) work alongside their widowed mother, Alice (Kate Siegel), who works as a fraudulent, but well-intentioned, medium. The arrival of a Ouija board into the family’s life plays well into Alice’s act, but also doubles as a portal into the spirit world. Soon, young Doris is communing with spirits, who move the planchette without hands and manifest adult voices in her mouth. Creepy? Sure. But Alice, hard up for cash and lacking real-world experience, uses it to bring in more customers. Up to this point, the film is well shot, briskly paced, and filled with fine performances, but lacking in anything but cheap jump scares. 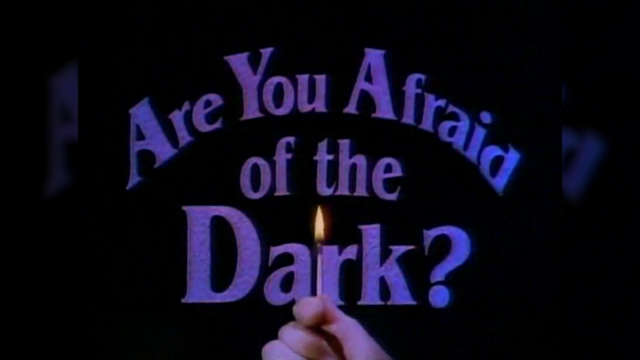 When Doris finds herself alone with the board in the middle of the night, however, Flanagan brutally unmasks the evil hiding in the house to genuinely terrifying results. He doesn’t stop, either. The film’s second half is chaotic, positively brimming with tension and atmosphere thick enough to slice it with a crude surgical tool. Poor horror too often relents after a scare, offering audiences that moment to breathe. Here, Flanagan makes you work for those breaks; Origin of Evil uses its time wisely. The thing is, much of what he’s working with are the things Hollywood’s already done to death: creepy kids, CGI creatures, jump scares, and unhinged jaws. But Flanagan’s scares are so precise, so exquisitely timed, that they’re able to imprint the mind as much as quicken the pulse. His wicked, distorted faces and uncanny gestures might draw chuckles in a lesser movie, but Origin of Evil knows when it’s best to bury them in shadows, as well as when to fill the frame. Kudos also to young Wilson, who gives Doris a sense of otherworldliness that’s well beyond her years. Flanagan and longtime co-writer Jeff Howard should also be commended for the storytelling. Origin of Evil unfolds with logic and grace, and is also accented with scenes that deepen characters and relationships in organic ways. A dinner scene with Alice and Tom (Henry Thomas), a priest at the girls’ school, could be cut without losing an ounce of story; its inclusion, however, engenders deeper empathy for both Alice’s plight and Tom’s internal struggles. That it made to the screen is a testament to Blumhouse’s respect for its artists. But Origin of Evil still suffers from some of the genre’s current fixation with overwrought universe-building. Its attempts at contributing the series’ larger mythology, including an overlong epilogue, inevitably fall flat against the simple, human story at its center. Because Ouija: Origin of Evil is very much that, concerned just as much with the people at its center as it is with scaring the daylights out of us. Flanagan’s got plenty of passion projects in his past, but who out there figured the sequel to a movie based on a Ouija board would be one of his best?